Complainant reports a M/W in his late 20's, average build, with dark hair, wearing an orange vest asking her if she needed work done in her driveway. Complainant refused and closed her door. Complainant saw subject go to her neighbors house and then drive away in a gray pick up truck heading west. Complainant got a partial plate of ORD. Analyst note: There have been similar incidents involving deception burglaries throughout the county. While Complainant was walking home from school, listed vehicle did approach her and stop in the roadway. dreadlocks, and wearing a black shirt. the pretense of home improvement work, Complainant called police. Hempstead Town Hosts Series of Senior Citizens' Crime Prevention Seminars, Free Brochure Available Senior citizens have been the main target of a recent spate of “distraction” burglaries and robberies in local communities. To prepare and educate our golden aged residents about protecting themselves from dangerous criminal activity, Hempstead Town Supervisor Kate Murray and the town’s Department of Public Safety kicked off a series of Senior Citizens’ Crime Prevention Seminars that began on January 6th at the East Meadow Senior Center. Murray, along with members of the Hempstead Town Board, announced a schedule of dates and times for Hempstead Town’s Senior Citizens’ Crime Prevention Seminars. All seminars are free of charge, and open to all senior residents living in the Town of Hempstead. “Distraction burglaries” typically involve multiple criminals targeting seniors at their homes. Usually, one person diverts the senior citizen’s attention at the front door with a bogus service or sales pitch, while another breaks into the home and steals money and/or valuable items. These valuable seminars educate seniors about what to watch for, what to avoid and how to protect themselves from these criminals. A free senior citizen crime prevention brochure is also available for residents. It can be obtained by calling the Hempstead Town Department of Public Safety at (516) 538-1900. The brochure will also be distributed at the seminars. Baldwin Senior Center, 1810 Grand Avenue, Baldwin, (516) 546-7110 - Monday, February 6: 11 a.m.
Bellmore Senior Center, 2000 Bellmore Avenue, Bellmore, (516) 221-9696 - Tuesday, February 28: 11 a.m.
Cedarhurst Senior Center, Village Hall, 200 Cedarhurst Avenue, Cedarhurst, (516) 295-1177 - Monday, February 6: 2 p.m.
Elmont Senior Center, 138 Elmont Road, Elmont, (516) 354-4777 - Monday, February 13: 11 a.m.
Franklin Square Senior Center, 1182 Martha Place, Franklin Square , (516) 328-3010 - Monday, February 13: 1 p.m.
Green Acres Senior Center, 400 Flower Road, Valley Stream, (516) 872-8810 - Tuesday, February 21: 11 a.m.
Hempstead Senior Center, 260 Clinton Street, Hempstead, (516) 489-8500 - Friday, February 10: 1 p.m.
Levittown Senior Center, 555 North Newbridge Road, Levittown, (516) 433-5454 - Tuesday, February 7: 1 p.m.
Merrick Senior Center, 2550 Clubhouse Road, Merrick, (516) 868-4777 - Tuesday, February 14: 1 p.m.
Oceanside Senior Center, 2900 Rockaway Avenue, Oceanside, (516) 766-8888 - Monday, January 23: 11 a.m.
Rosa Parks Senior Center, 2 Babylon Turnpike, Roosevelt, (516) 867-1612 - Friday, February 3, 11 a.m.
Salisbury Senior Center, 460 Salisbury Park Drive, Westbury, (516) 333-5440 - Tuesday, February 7: 11 a.m.
Uniondale-Merrick Senior Center, 750 Jerusalem Avenue, Uniondale, (516) 538-5050 - Friday, February 10: 11 a.m.
Wantagh Senior Center, 1150 Seamans Neck Road, Wantagh, (516) 785-8505 - Friday, February 17: 11 a.m.
17:40 -Officer observed the defendant sell alcohol to an underage agent working for the police department. Arrestee did not ask for any form of identification showing proof of age. In early December, Franklin Square resident Jim McGrath, 41 yrs. old, attended his daughter Kimberly’s JV Basketball at Carey High School. After the game Jim went home and began to set up Christmas Lights for the house. Tragically and unexpectedly, Jim suffered a fatal heart attack and passed away. Jim left behind his wife Tracey and four young childr...en. In addition to Kimberly, are his other children KelliAnn, Patrick, and James. The Carey Girls’ Basketball Teams wish to honor Jim McGrath’s memory via a “Pack the Jim Night.” Raffles and Prizes will be given out throughout the JV and Varsity Basketball games against Westbury High School on Friday, February 3rd. Donations will be accepted at the door. All proceeds from the evening will be given to the McGrath Family. The start times are 4:30pm for the JV and 6:15pm for the Varsity. The Varsity game will be televised by MSG Varsity. Distraction burglary is a crime in which elderly persons are often the targets. The perpetrator seeks to draw a resident out of the house on a pretext. 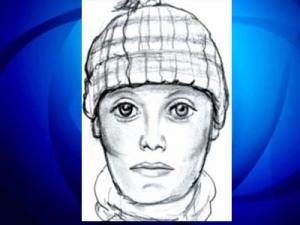 While the resident is occupied, an accomplice enters the home and picks up valuables such as money and jewelry. Thieves may also pick up papers with the intent of committing identity theft. In a variation, the accomplice enters the dwelling by a second door while the resident is occupied at the other door. The following attachments and link below provide some helpful tips and suggestions to avoid you or a loved one from becoming victims of this crime trend. Feel free to share this information to all who may benefit from it. Murray, Hudes Help Senior Citizens Learn How to Safeguard Their Homes from “Distraction Burglary”Residential burglaries are invasions of privacy and are threats to the safety and quality of life enjoyed by Hempstead Town residents. Many burglars prey on our most vulnerable citizens, tending to target the senior citizens in our community. Indeed, there have been nine “distraction burglaries” and attempted robberies in our area since December 9th, whereby criminals used various methods of deception to distract homeowners to gain access to valuables inside. In an effort to increase awareness and knowledge for concerned senior citizens, Hempstead Town Supervisor Kate Murray, Councilman Gary Hudes and the Department of Public Safety hosted a burglary prevention safety seminar at the East Meadow Senior Center on Friday. Never open the door to strangers and never let them know you’re alone. Ask for identification. If someone rings your doorbell claiming to provide a service and/or represent a company, organization or group, ask them to present identification. Get their names. Beware of phone scams: Don’t give personal or financial information over the phone. Hang up on nuisance callers and report them. Protect yourself from common types of consumer crimes, including medical and insurance fraud, sweepstakes scams, business schemes and unlicensed home repairs. If someone breaks into your home, do not confront the burglar. Lock the room you’re in and if you can get to a phone, quietly call law enforcement officials. 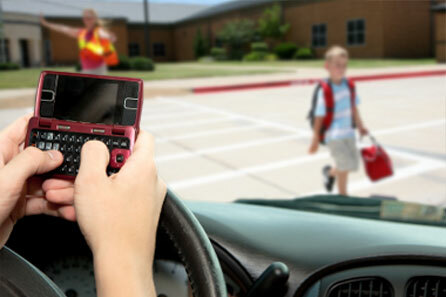 "The Last Text" a short documentary is a must see for all who own a cell phone and are tempted to use it while driving. Please share this short video with family and friends. It could save a life! Using a cell phone while driving has been found to quadruple your risk of crashing. Drivers spend more than half their time behind the wheel engaged in distracted behavior. Eating, smoking, adjusting music or rubbernecking while driving can be just as dangerous as texting, emailing or talking on a cell phone. Click on: The Last Text to play short documentary. Winter has arrived and you should dress for the season. Wear loose, lightweight, warm clothing in several layers. Trapped air between the layers acts as an insulator. Layers can be removed to avoid perspiration and subsequent chill. Winter storm conditions and cold waves are the deadliest types of weather. Cold temperatures put an extra strain on your heart. Heavy exertion, such as shoveling snow, clearing debris or pushing a car, increase the risk of a heart attack. New York State offers an abundance of sports activities during the winter season. From skiing and snowboarding to ice climbing, hiking and other outdoor pursuits, parents and children should follow the safety rules of the sport. Most importantly, use the proper equipment and check to make sure everything is in proper working condition. A well-fitting ANSI/SNELL certified helmet will assure a safer, more enjoyable wintertime experience whether you are skiing, sledding, snowboarding or skating. Dress in multiple, lightweight layers to stay warm and dry while enjoying the outdoors. Check the weather forecast but be prepared for anything. If you are heading into the backcountry, never travel alone. Let someone know your route and estimated time of return. Skiers and snowboarders should go on runs that are appropriate for their ability. Stay in control at all times and be able to stop or avoid other people or objects. Obey all posted signs and warnings. No matter what sport you participate in, always focus 100 percent of your attention on the activity and the terrain you are on. Moreover, rest when you are tired. Children should never use streets or roads for sledding unless they are blocked off from traffic. Children should sled only during daytime hours. Do not sled on icy hills. Sledding hills should be only snow covered. Avoid sledding over snow bumps or anything that may cause the sled to become airborne. Never sled alone. An adult should always accompany small children. Children should stay out of the paths of other sledders. In addition, if the slopes become busy, they should move off them quickly. Parents, if you are sledding with your children, follow these rules yourselves. If possible, skate at areas that have been approved and posted for ice-skating. Never skate alone. Always have at least two people present. Children should never be allowed to skate on a pond unsupervised. Remember ice thickness is never consistent on lakes and ponds. Water currents, particularly around narrow spots, bridges, inlets and outlets are always suspect for thin ice. If the person’s body temperature drops below 95 degrees Fahrenheit, get emergency medical assistance immediately! Remove wet clothing, wrap the victim in warm blankets and give warm, non-alcoholic, non-caffeinated liquids until help arrives. Do you have a snow blower? Did you know that most snow blower injuries happen because the operator did not read the operating instructions? Never leave your snow blower running and unattended. Make sure the discharge chute is not aimed at passing motorists or pedestrians. Never put your hands into the discharge chute or augers to clear stuck snow and ice. Never add fuel when the engine is running and hot. Make sure you know how to turn the machine off quickly.